I’ve never been the type of person to clip coupons at the grocery store. 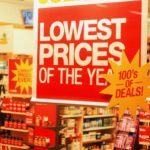 If you are like me, you may have found that proactively browsing for 10 cent deals is not a cost-effective use of time. However, I still love a good value. Nowadays, I can leverage technology to help me save on items that I am planning to buy. Here are five ways that you can whittle an extra 1-60% off things that are already on your list. I’m part of Chase’s Ultimate Reward Network. I automatically earn 1% on purchases and 5% on quarterly incentives, just by swiping my card. I also add rewards multipliers by routing my purchase through Chase. When shopping online, I keep in mind the stores that are affiliated with my bank’s credit card reward program. This list includes retail stores ranging from Walgreens to Nordstrom. All I have to do is use the Chase portal to access those online stores, and make my purchase as usual. Then, watch the points add up. The rewards can be huge, actually. You can earn double, triple, and even 20x the points per dollar, depending on the store you choose. The extra rewards are immediately added to my account and can be converted into cash using at 100 points to the dollar. An added benefit of this approach is that there is no penalty if you return the item. The additional rewards points received are simply removed automatically when the transaction is reversed. 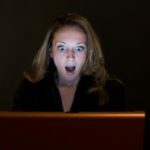 I personally use Chase, but other companies like Ebates, FatWallet, and MyPoints have similar programs. It seems like there is a secondary market for everything these days. Gift cards are no exception. It makes sense that if you have a gift card for a store you don’t frequent, you could sell it to recoup some of the funds. Conversely, if you know you’ll be shopping at a particular store, you could buy a discounted card that someone else is looking to sell. 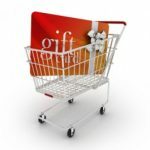 There is plethora of sites to buy discounted cards, but the easiest way is to use an aggregator like Gift Card Granny and find all of the deals in one place. Deals can vary based on supply and demand, as well as store popularity. Discounts on Amazon gift cards, which are versatile and very popular, tend to hover around 1%. Retail stores such as The Limited and Coach, however, can skyrocket to over 50% savings. You can either purchase digital cards are instantly sent to your email, ready to use in seconds. Plastic cards are also an option, and arrive within a week or so via snail mail. The biggest risk with this approach is purchasing a card that doesn’t work. Each company has a unique protection policy, so make sure to read the details before you buy. Look for companies that offer a 100% cash back guarantee. New startups, like the app Benefit, allow customers to buy gift cards while seeking cash back rewards. Before you make a purchase at CVS, Old Navy, Amazon, the Olive Garden and many others, quickly buy a digital gift card through the app and save up to 10%. Have you been in the situation where you wanted something that was $12, but had a $25 gift card? Say goodbye to fixed price cards that encourage you to purchase more in order to to “use it up” (or even worse, let it go unused). A great thing about this app is that many retailers allow you to purchase a gift card for the specific amount you need… down to the penny. Benefit also gives customers the option of linking a credit card or bank account to their application. Since transaction costs are higher when credit cards are used for purchase, the rewards incentives are too. Rebates are an average of 3% higher for cash purchases. Note that you should only buy gift cards for purchases you intend to keep, though. If you return the item, you are given the money back on a gift card instead of cash. 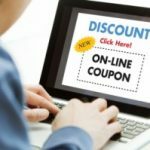 If you see a field for “Promotional Code” during an online checkout process, it may mean that the site offers additional buying incentives. It is easy to find out, just search for the company site and the word coupon and see what pops up (Here an example: Search for “Target Coupon”). Try it for retailers, restaurants, ticket purchases—anything you can buy online. RetailMeNot, Coupons.com, and Coupon Cabin are popular sites that aggregate promotional codes. You may find codes that open up free shipping, an extra 15% percent off, or a $10 discount on your purchase. Just copy the promotional code from your search results and paste it in the promotional code field. Not bad for 30 seconds of work! For a long time credit cards have offered the benefit of honoring price adjustments for items that go on sale within weeks after the point of purchase. Most consumers forget about this benefit or feel that it is not worth their time to report the price change. Recently, apps and tools have been flooding the market to automate both the identification of price changes and the refund process. Paribus is a site that taps into your email and Amazon account to monitor online purchases. When it finds that the exact item you purchased has a price drop, they work with your credit card to honor the price adjustment. In return, they take a small cut, but it’s money you likely wouldn’t have sought out anyway. Similarly, many credit card companies offer their own opt-in monitoring programs. I suspect we will see more of these companies come to market. Stack rewards programs, discounts, promotional offers, and monitoring services for ultimate savings! 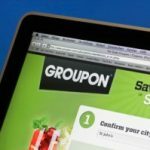 Finding the best combination of discounts can be a fun and profitable game. Advanced savers can use these strategies in tandem to increase the rewards. Use a cash-back credit card that incentivizes department stores at 5%. Add a promotional code for 20%. Then, let a monitoring service find additional 1% saving two weeks after you made the purchase. That is a 26% discount! Use a 2% cash back credit card to purchase a gift card discounted at 19%. Layer on a %10 coupon code. That is a 31% discount! There are many ways to save a little extra cash on what you’re already planning to buy. 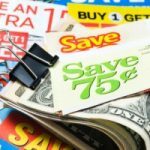 All you have to do is utilize the many resources available to you, plan ahead when you can, and take advantage of all of the discounts and promotions just waiting to be found. Happy saving! Now, let’s hear from you. Have you tried any of these techniques? Tell us about your best combinations for saving online!